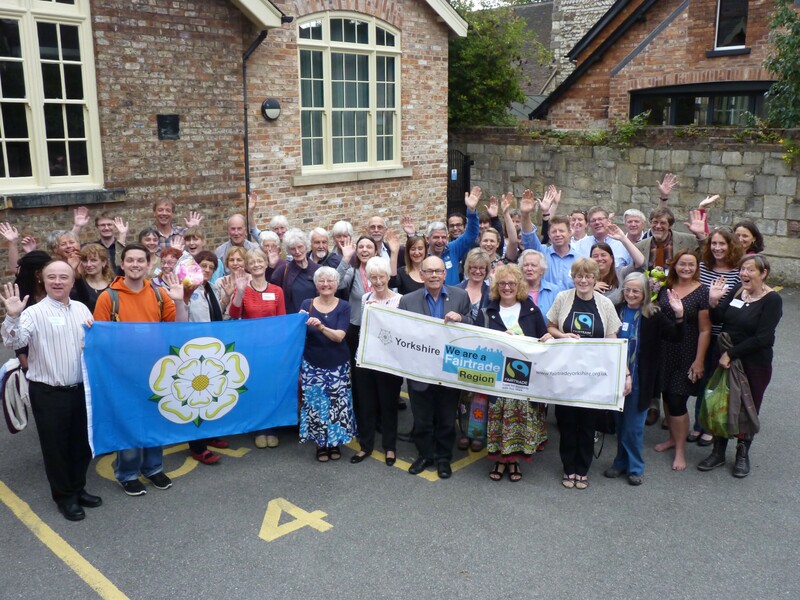 The Fairtrade Yorkshire Regional Conference took place last weekend and was the best-attended Fairtrade Yorkshire event so far. Campaigners were buoyed by the announcement of two new towns campaigning for Fairtrade status: Selby and Halifax. Over 70 supporters including both of York’s MPs as well as MEP Linda McAvan. On 18th September Horsforth celebrated its declaration as a Fairtrade Town with a party at St. Margaret’s Parish Centre. 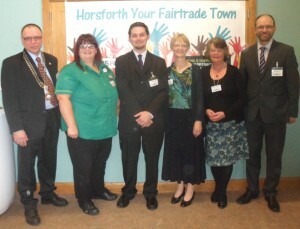 Chair of Fairtrade Yorkshire, Hannah Langdana, introduced a cocoa game and FTY Coordinator, Mark Dawson congratulated the town stating that ‘ a Fairtrade Horsforth is a stronger Horsforth.’ Chair of the Fairtrade Steering Group, Rev Matt Wright, of Lister Hill Baptist, gave a rousing speech thanking all the people who had made Horsforth Fairtrade Town possible including local schools and the Town Council. The Chair of the Town Council cut the huge celebratory cake and a buffet was enjoyed courtesy of Morrisons supermarket. Rev Matt Wright, John Garvani and Cllr. Janice Pritlove outside St. Margaret’s Parish Centre. 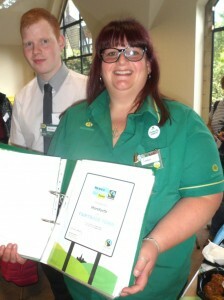 Matthew Temple, Duty Manager and Sarah Marston, Community Champion of Horsforth Morrisons. 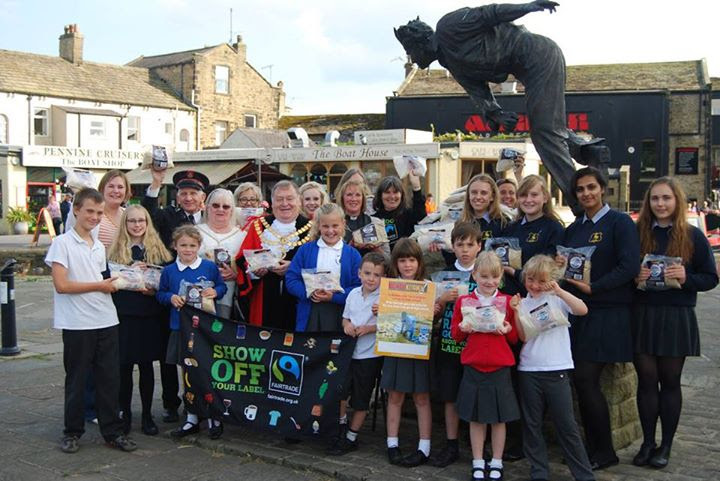 Skipton has renewed its Fairtrade Town status and taken on the 90kg rice challenge. 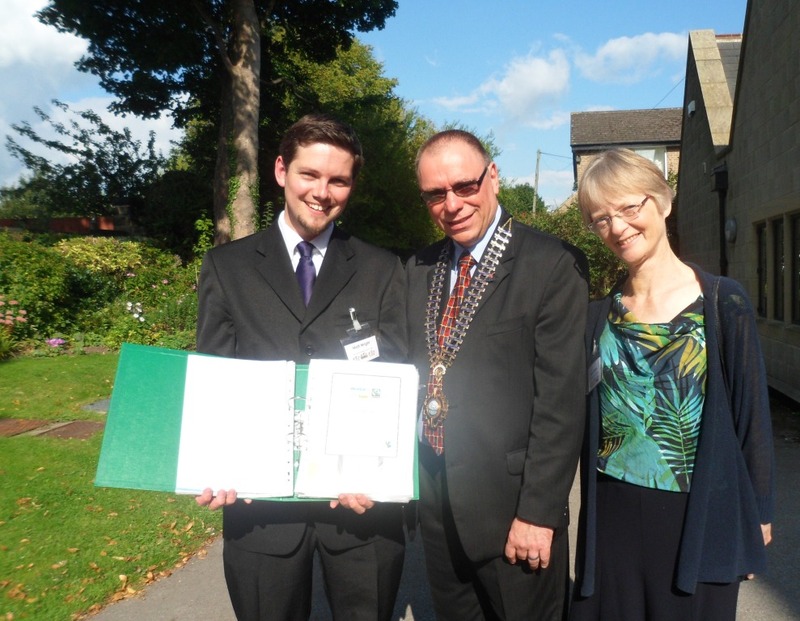 Your community could do the same! The challenge is to sell 90kg of fairly traded brown and/or white rice – the amount of rice sold that would enable a Malawian farmer pay for a year’s basic secondary education for one child in Malawi, where only 1 in 3 children can go to high school because their parents can’t afford to send them. 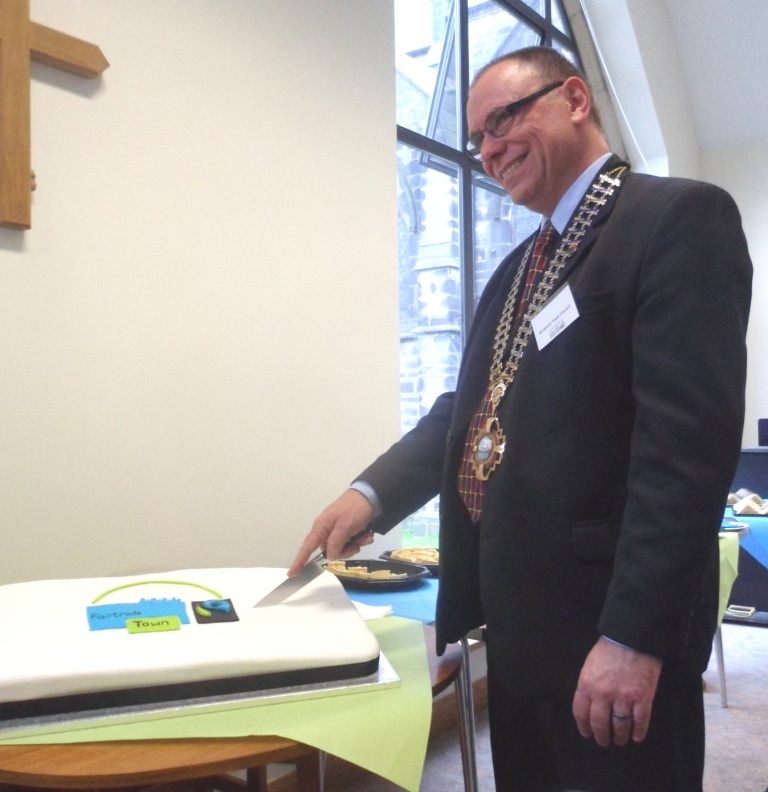 Read more about the rice challenge.